If you played along last week you would have received this new Whimsical flowers image from Faith over at Delightful Inspiration, it is part of a new set called Willow Whimsy, you can find it at her Designed 2 Delight Digi shop. This is the card I made with it, the sketch is from PCP's sketch Saturday. This card will also be entered into the Double Delights challenge, where you have to use Blue's and Green's. Great card!! 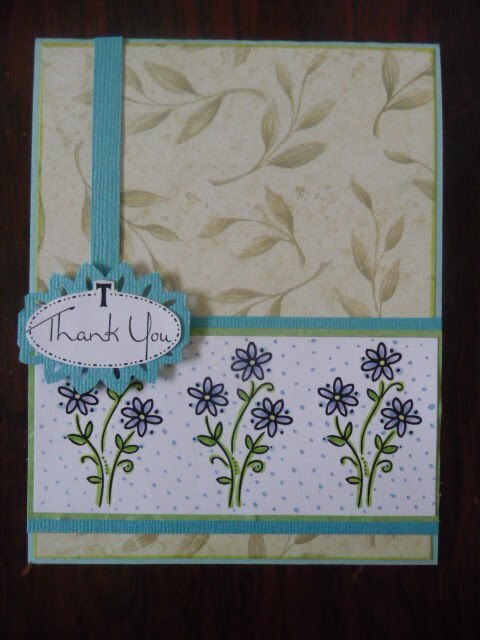 I love the colors and the border around the sentiment! So cute!